Kolkata police commissionerRajeev Kumaris reaching Guwahati on Friday, after he was directed to appear before the Central Bureau of Investigation (CBI) in Shillong on Saturday. He will then travel to Shillong by road from Guwahati and stay at the Meghalaya Police guest house. Kumar was directed to appear before the Central Bureau of Investigation (CBI) in Shillong, the capital of Meghalaya as a neutral place on Saturday last, by the Supreme Court. 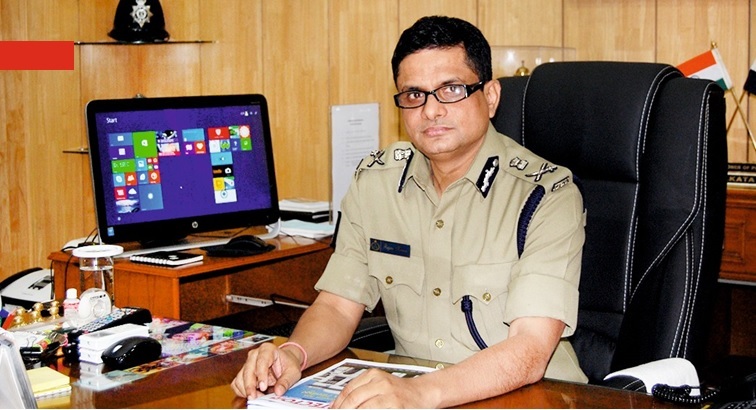 Kolkata police commissioner Rajeev Kumar, left Kolkata for Guwahati at 1.30 pm, by AI 9711 flight on Friday, with a CBI team. His younger brother is also travelling with him. Three more West Bengal cadre IPS officers are coming along with Kumar. The development is seen as a positive step towards diffusing the mounting tension of the ongoing drama in West Bengal. The twist came after the Supreme Court issued a notice to Kumar, Kolkata, DGP and West Bengal government on the contempt plea filed by CBI in the apex court. West Bengal Chief MinisterMamata Banerjeewho was on a sit-in protest since the fiasco began on Sunday has termed the apex court’s decision as a ‘moral victory’. On the other hand, the Central Government has also claimed it a ‘moral victory’ after the court ordered Kumar to appear before the investigating agency in Shillong, submit evidence and cooperate with the probe into chit fund scams in Bengal. The drama began on Sunday evening when a CBI team which arrived in Kolkata to question Rajeev Kumar over the Saradha chit fund scam was detained by the Kolkata Police for a few hours.